Of course, the polar bear is the most prominent animal symbol of Svalbard. Once an animal is charged with this representational status, it means, as Franklin states, that every positive act towards it simultaneously endorses the nation or group that it represents (Franklin, A. 2006. Animal Nation: the True Story of Animals in Australia. Sydney: UNSW Press, p.7; more about animal symbolism see Anna Stammler-Gossmann. 2010. Political animals of Sakha Yakutia. Stammler F., Takakura H. eds., Good to eat, good to live with: Nomads and animals in Northern Eurasia and Africa. Sendai: Center for Northeast Asian Studies, Tohoku university, p. 153-178). Maybe we can apply this statement to the Longyearbyen community? Different images of the polar bear represent the variety of forms related to this animal upon governmental regulations, tourist activities, scientific research and media. It should be protected, it should attract tourists, it is a soft toy and it is a predator. Maybe the different values attributed to this animal symbol contribute to building a symbolic ‘common place’ for this diverse and fluctuating society? Definitely, there is an interesting interplay between rational and social values attributed to this animal. When you land in Longyearbyen, the first thing you hear of when you read in the safety instructions and the “Svalbard Rules of Common Sense” or start talking with the tourists or locals is the polar bear. Polar bears have become the charismatic symbol for all climate change related issues: melting sea ice, environmental awareness, global warming and the most vulnerable species. They are carefully protected by law, there are no polar bear safaris on Svalbard. Global hunt for polar bear guard attracts 300 applicants (Icepeople 5/25, July 9, 2013). Local officials are concerned about the increasing number of film crews, both Norwegian and from abroad, that are perhaps too keen to film the protected polar bears in action. A film team working for the BBC on Norway’s Arctic archipelago of Svalbard is being fined NOK 50,000 (nearly USD 10,000) for allegedly disturbing a polar bear mother and her two cubs. (http://www.newsinenglish.no/2013/03/19/film-team-fined-on-svalbard/). However, it is the world’s largest land carnivores and humans are considered as an alien element in the polar bear’s habitat (Norwegian Polar Institute http://www.svalbard.net/en/Svalbard/?News=4). Usually one bear is shot every year due to the endangerment of people’s life. This year, it was already two bears (personal conversation). One of the ‘Longyearbyen bears’ is displayed in the hospital entry hall. It is related to a dramatic story from 1987. That year two Dutch biologists at the Kapp Lee station on Edgeøya, Piet Oosterveid and Georg Visser, were badly injured by this young polar bear. As Hacquebord pointed it out, indirectly, this event led to the end of a Dutch research station in the High Arctic. 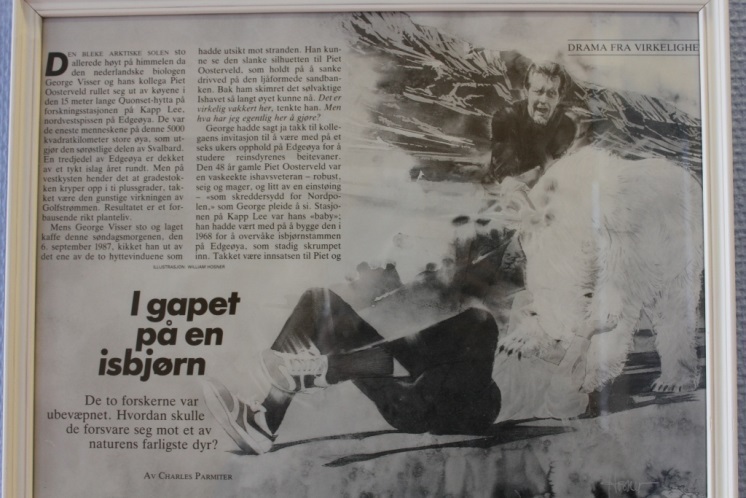 In 1989 it was sold for a symbolic sum to the Norwegian Polar Institute. On the instruction of Piet Oosterveld, the executive committee terminated the Foundation for Arctic Biological Research that supported his research activities, thus putting an end to one of the most important Dutch research initiatives in the Arctic since the Second World War. (Hacquebord, L. 2004. Permanence in diversity. A life in the service of Arctic Biological Research. Boschman, N., Hacquebord, L. (eds). 2004. Permanence in diversity. Netherlands Ecological Research on Edgeøya, Spitsbergen. Groningen: Arctic Centre, RUG. p.10). The residents of Longyearbyen to whom I talked, definitely did not like to talk about current accidents with polar bears, which happened in the last years (see http://www.sysselmannen.no/en/News/No-criminal-charges-after-the-polar-bear-accident-at-Von-Postbreen/). I suppose, it is not a pleasant topic to discuss with visitors. It may harm the charismatic image of the polar bear and may have an impact on tourist activities, governmental safety efforts, scientific research, and finally on this small Arctic community. Living in this environment, where the risk of this wild animal is very high and at the same time, where the polar bear symbol is so important, animal symbolism reveals a potential to constitute community commonalities. When I showed a picture of a Svalbard reindeer to my Sami reindeer herder friend, his first reaction was: ‘that’s not a reindeer’. A sharp difference to the Eurasian mainland reindeer shows in short-legs, relatively round heads and a thick coat. This reindeer population represents the morphology typical on artcic islands and the Greenland origin of the Svalbard reindeer seems probable (Hakala, A. et al. 1986. Taxonomy and history of Arctic island reindeer with special reference to Svalbard reindeer. Rangifer, Special issues 1: 360). Their behavior is also different from reindeer that I have observed in Finland and Russia. Svalbard reindeer are not nomadic and live individually or in small groups (see Reimers, E. 2012. Svalbard reindeer population size and trends in four sub-areas of Edgeøya. Polar Research 31). They are less dependent on the lichens then relatives on the mainland and feed on almost any type of vegetation. All the plants in question are more resistant to grazing and trampling. And that is why the pastures’ carrying capacity becomes ‘a floating concept’ in Svalbard, as Reimers states (Reimers 2012). There are not so many pets in this permanently fluctuating community on Svalbard. I have not seen anybody working with a dog. To bring a dog to Svalbard requires permission from the Norwegian Food Safety Authority. The permit is granted for one year at a time. No permissions to bring cat to Svalbard are given (the governor of Svalbard http://www.sysselmannen.no/en/Shortcuts/Pets/). 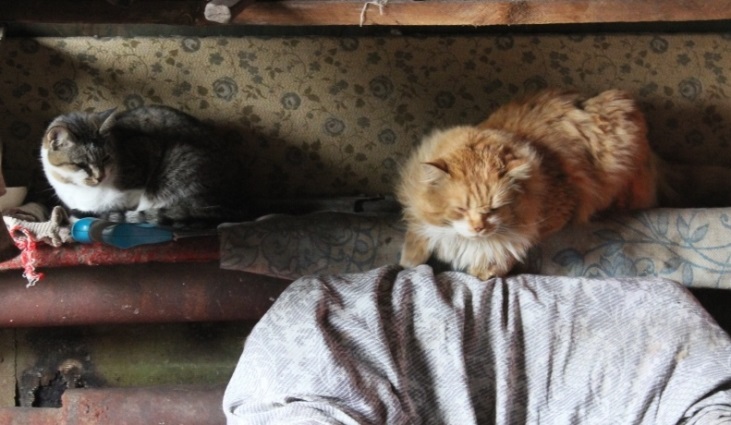 However, these two cats I saw in the Russian settlement of Svalbard, Barentsburg. Maybe it is a post-Soviet cats’ generation? Anyway, they are great companions, who comfort the – mainly single – males, who are working hard, away from their home. 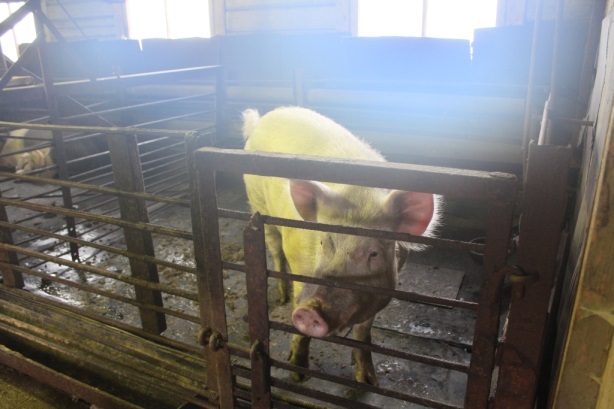 In Barentsburg I discovered another ‘post-Soviet’ animal – a pig. There is a small pig shed still left over from Soviet times, whereas only abandoned houses with a cow’s picture on the wall remain of the former cow farm. Pork is almost the only fresh product in the local canteen menu. The community receives basic food supplies one or two times a year by boat from Murmansk. A really exotic animal for this latitude is a penguin in the shopping centre that holds the sign of the sushi restaurant. Why penguin? I became curious as far as I always thought that there are no penguins in the Arctic. Or are there? I just asked the people in the sushi restaurant and found out that ‘they were here’. In September 2011 the Institute of Marine Research in Bergen (Norway) published information that one alien species, the snow crab, was caught in the eastern part of Svalbard waters (Institute of Marine Research. Fant snøkrabbe ved Svalbard, September 6, 2011, http://www.imr.no/nyhetsarkiv/2011/september/fant_snokrabbe_ved_svalbard/nb-no). Recent findings of Russian scientists in relation to the biomass of snow crab in the Barents Sea were unexpected: it is ten times higher than another alien species, the King Crab (Institute of marine research, Ti ganger mer snøkrabbe enn kongekrabbe, April 24, 2013, http://www.imr.no/nyhetsarkiv/2013/april/ti_ganger_mer_snokrabbe_enn_kongekrabbe/nb-no). The King Crab was intentionally introduced to the Barents Sea in the 1960s by Soviet scientists. There are different views on the scale of changes caused by these species in the Barents Sea ecosystem (see Herbold, B. and Moyle, P.B. 1986. Introduced species and vacant niches. Am. Nat. 128:751-760; Owen, J. 2004. Giant Crab ‘red army’ invades Norway, http://news.nationalgeographic.com/news/2004/03/0309_040309_giantcrabs.html; Norwegian Ministry of the Environment. 2007. Strategy on invasive alien species; Fishnet.ru. 2008 Камчатский краб не наносит серьезного ущерба донной фауне Баренцева моря, http://www.fishnet.ru/news/novosti_otrasli/8363.html ). However, it has brought new economic activities for the coastal communities of Eastern Norway, as I observed during my fieldwork in 2012 (Blog entries June 2012 Kings, predators and research on the northern top of Europe. https://arcticanthropology.org/2012/06/14/kings-predators-and-research-on-the-northern-top-of-europe/; Havet (ocean) – is giving and taking. https://arcticanthropology.org/2012/06/19/access-project-arctic-climate-change-economy-and-society/; see Karlsbakk, J.2013. Cold king Crab catch. http://barentsobserver.com/en/arctic/2013/01/cold-king-crab-catch-04-01) . It is not clear yet how the snow crab has spread to the area – by ballast water or by natural migration (Institute for Marine Research, Ibid). Are the ‘newcomers’ burden or asset of the Barents Sea and for the coastal communities? Is it a serious threat to biodiversity or a valuable resource? 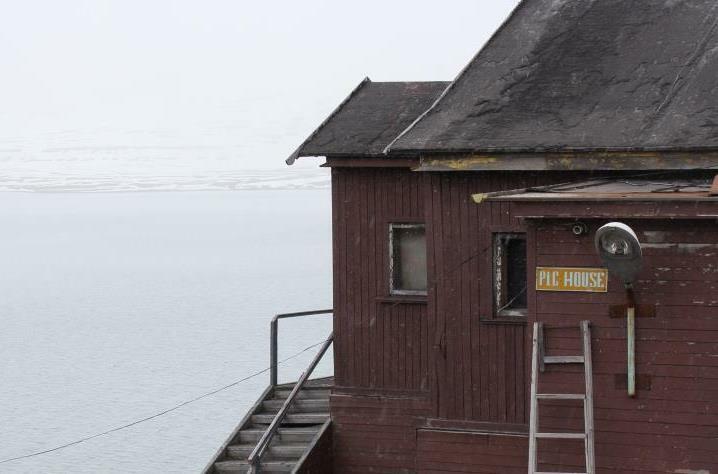 The Svalbard governor’s office is concerned about the growth of the snow crab population and has decided to delay the official release of its invasive species action plan in order to incorporate this new information (Barents Observer, June 24, 2013; http://barentsobserver.com/en/nature/2013/06/storm-snow-crabs-24-06; Icepeople 5/25, June 25). 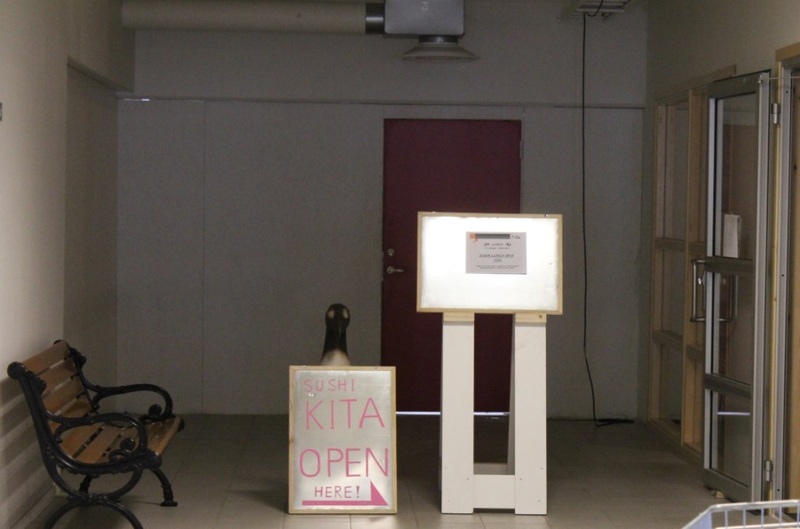 This entry was posted in All, Fennoscandia, Fieldwork. Bookmark the permalink.